What a heartbreaking week. 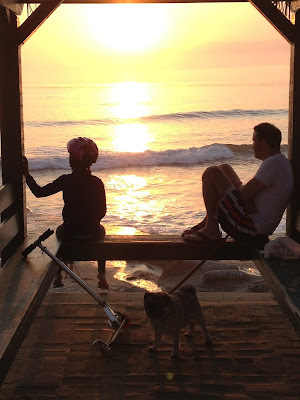 This week I had to do something that was more difficult that I had anticipated. 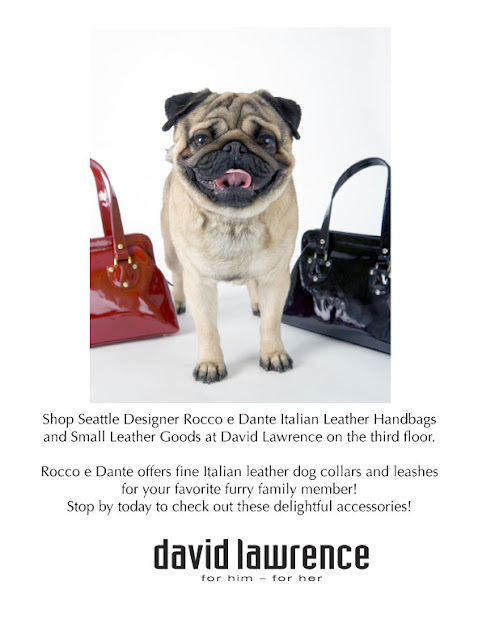 Dante The Pug-the namesake behind Rocco e Dante handbags passed away. For the past year he has had worsening doggy dementia. He still enjoyed walking a bit and eating but the constant barking at walls in the middle of the night was getting unbearable. We tried Xanax and a few different tranquilizers that the vet gave us. Sometimes the meds would wear off at 3 am and he would bark for hours at the wall. It just got to the point where I knew it was time. I held him when he was given his medicine to go to sleep. Dante did not know what was going on as he was only partly there mentally. It was a difficult situation but the actual event was peaceful. The vets at Wind and Sea Vets in La Jolla, CA were kind and very caring. Sweet Dreams Dante The Pug. You were so beautiful and loyal. It was an amazing journey for 12 years from Los Angeles - Seattle - La Jolla.